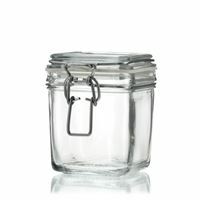 Jars with clip-top lids have become very popular once again. 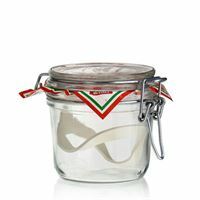 Clip-top jars are stylish, inexpensive and available in a variety of sizes and beautiful shapes. 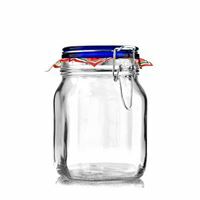 A clip-top glass jar is ideal for preserving and storing food. 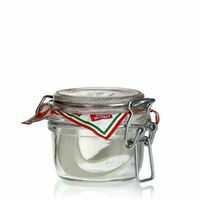 Here, we offer clip-top jars for example from the series "Rocco", which have glass lids and rubber rings. 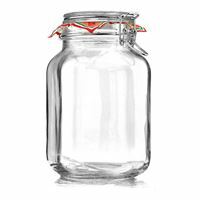 350ml swing top jar "Rocco"
Are you looking for clip-top jars? 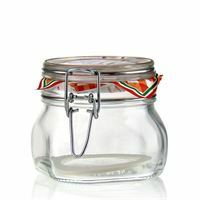 At World-of-Bottles.co.uk, you will find inexpensive clip-top jars for preserving and storing food. 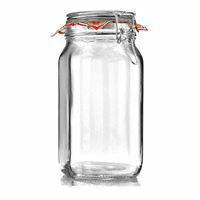 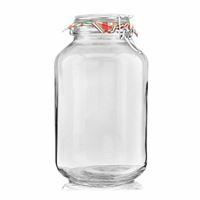 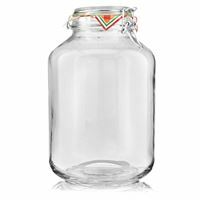 Here in our online store, you can buy clip-top jars in various shapes and sizes, ranging from small 125 ml clip-top jars over medium-sized clip-top jars of 400 ml to 1,000 ml clip-top jars and above, World-of-Bottles.co.uk offers even large clip-top jars with volumes of up to 5 litres. 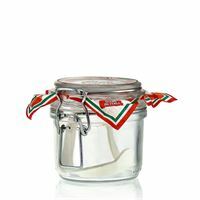 Clip-top jars have become very popular once again. 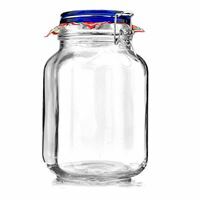 They are not only suitable for preserving and storing a supply of fruits, grains, nuts, muesli, yogurt, pates and meat spreads, they are also a nice idea to decorate your kitchen, dining room or restaurant. 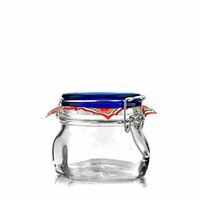 New in our product range are the wonderful, modern Italian clip-top jars from the "Le Carre" series, which distinguish themselves by their rectangular, space-saving shape and are a welcome contrast to the common round clip-top jars. 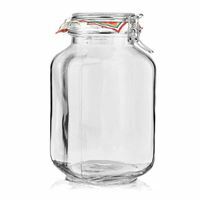 World-of-Bottles offers a wide choice of brand quality clip-top jars from reputable European manufacturers. 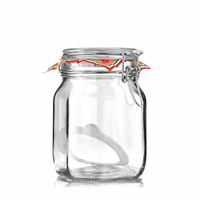 Please note that our clip-top jars come with glass lids and rubber gaskets. 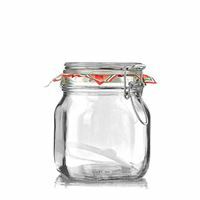 We wish you the best of luck in turning your creative decoration ideas into reality.